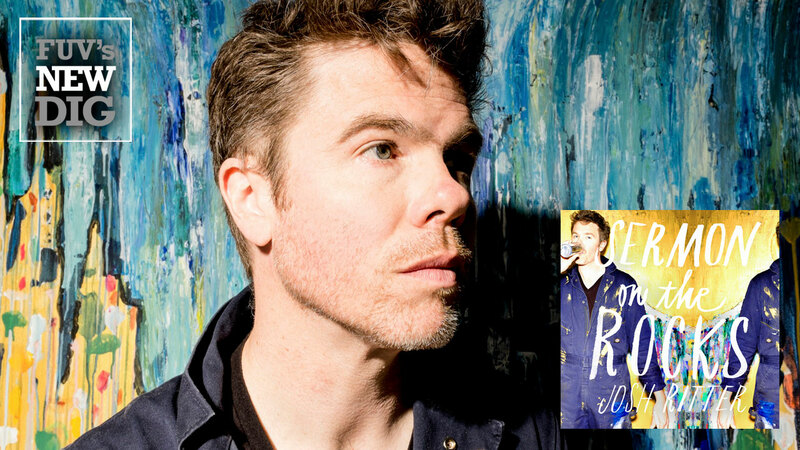 Over the past fifteen years, folk rocker Josh Ritter has established himself as a gifted songwriter, storyteller, and singer, embraced by critics and an ever-increasing fan base of rabid devotees. He made the transformation from small town acoustic folk artist to literate adult rock bard, stirring up inevitable comparisons to Bob Dylan along the way. On his eighth studio album, Sermon On The Rocks, the Idaho native, 38, reveals a rollicking, spiritual side that contrasts with his last work, 2013’s The Beast In Its Tracks. That album was an intense examination of his divorce from his wife of three years, fellow musician Dawn Landes. In contrast, Sermon On The Rocks takes a different, not-as-angst-ridden route. The song “Homecoming” demonstrates Ritter’s ability to create heartland epics on par with Bruce Springsteen and John Mellencamp. The album’s finale, “My Man On A Horse (Is Here),” is a slice of Owen Bradley-touched vintage country that fashions an image of a smiling Ritter riding off into the sunset. To stir up a sense of adventure, Ritter and his band recorded this new album at the Parlor Recording Studio in New Orleans with veteran producer and engineer Trina Shoemaker. Ritter shares the production credit with Shoemaker. Ritter is in a better emotional place on Sermon On The Rocks than he was a couple of years ago. The new album demonstrates his tenacity and recovery, but there are still some dark corners that must be addressed.